If there was no change, we would not exist. 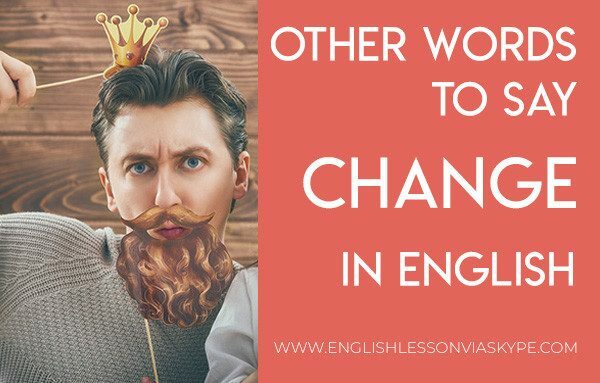 Change is a necessary part of life and you need to know how to talk about changes in English. 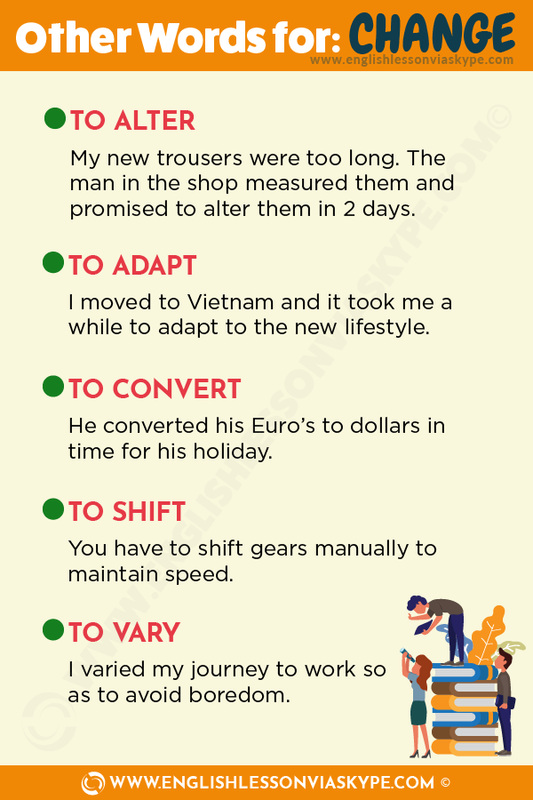 Let’s have a look at some English expressions and phrases related to change. Change a light bulb – probably, one of the most common phrases related to change in English. If the light does not work (electric light) in your overhead light or lamp (desk lamp or wall lamp) then you need to replace it with a new one. We change a light bulb. 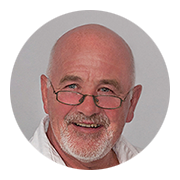 Change a nappy – Anyone with children will know all about this. Young children are not toilet trained (they do not know how to use the toilet) and therefore we constantly need to keep them clean and dry particularly after feeding them. Old fashioned nappies when my children were young were made of cloth or towelling so not only did you change them but you also had to wash them (yes, I know!!). However, today we use Pampers or Huggies or some other brand of disposable nappies that once used and disposed of can be replaced with a clean one. So we change a nappy. Change your mind – Once you have decided on something you might decide on another action and this is known as changing your mind, changing from an earlier decision to another action or event. Change jobs – We all change our work place several times during our working life. Some people more than others until they find their dream job. So when you move from one employer to another you change jobs. Change clothes – We have different outfits that we like to wear on different occasions. We wear work clothes for work, training clothes for going to the gym and casual clothes when relaxing. I will change my clothes and be with you in a minute. Change a wheel or a tyre – When you are driving a car and you get a puncture (there is no air in your tyre) you have to stop and change the wheel. All cars have a spare wheel in the boot and this is used to replace the punctured or damaged wheel. If the tyre is ripped (cut) then you may need to buy a new tyre and the garage will change it for you. We alter clothes that are too long or not wide enough. We go to a tailor and they alter (adjust) to fit us better. I bought a new suit. The trousers were too long. The man in the shop measured them and promised to alter them in 2 days. When we move to a new country or change jobs we have to adjust how we work or how we communicate. We adapt to our new surroundings. We get used to a new way of life. I moved to Germany and it took me a while to adapt to the new lifestyle. Often if someone changes their religion they are said to convert to another religion. Protestant to Catholic or Catholic to Buddhism. He converted his Euro’s to dollars in time for his holiday or exchanged euro’s for dollars. Also means to change. We can change or shift our position. Sitting in one position for a long time you become stiff or tired so you shift your position to become more comfortable. Another for to change.To vary is to change something you do. For example, to vary (change) your diet to introduce more fibre, less fat or sugar. Vary the journey to go to work if there is more than one way to go. I varied my journey to work so as to avoid boredom. Don't keep it to yourself, tell the world! We also have some English expressions that include the word change. Have you any loose change? I need some money for the bus fare? They can be a nuisance when you have too many but always useful for the parking meter or a tram or bus fare. Can you change this please? Usually an expression you use when you need some notes smaller than say a €50 or €100 note. John went into the shop to buy a coffee. The coffee cost €3.50 All he had in his pocket was a €50 note. He asked the waiter if he could change a fifty euro note. The waiter was not very pleased. And not to forget to mention Winds of Change – forces (forces of nature, or other forces) that have the power to change things or events — used generally to mean change is going to happen. Have you heard the famous song by the German rock band Scorpions Wind of Change? Your Homework for now is to practise talking about changes in English and use some of the phrases related to change. And, of course, you can write some of your sentences in the comments below. Have fun!